Garden Voices is unique. It is the first book to embark on a study of designers who demonstrate a deep understanding of the Australian environment and an ability to work creatively with it. 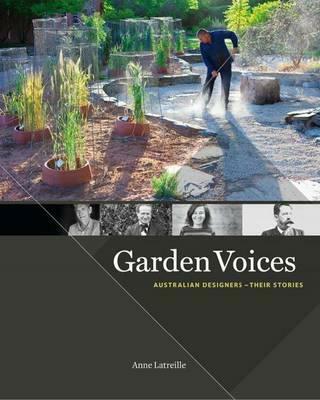 It provides an invaluable overview of twenty three key garden and landscape designers of Australia. Anne Latreille traces their life stories and achievements. They comprise historic figures, current practitioners, some well-known, others much less so. They work in lush tropical forests and chilly mountains, arid deserts and rolling countryside, beside rivers and the sea, in closepacked inner cities and spreading suburbs. They fit each garden design to its place, respecting the natural landscape character. In this way, Garden Voices takes us on a journey - a search for meaning and significance. New and exciting, it reveals a clear and panoramic vision. It moves us inside the designers' hearts and minds and shows how Australian energy and imagination can be transformative, inspiring and progressive. With research extending over fourteen years, it is a vital reference for anyone - from professional designer to garden lover - who seeks a broader understanding of designing gardens in Australia, now and in the future.